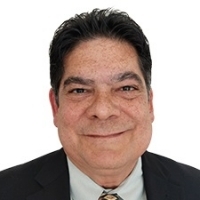 Ed Perez of Axios Systems has over 20 years of IT industry experience in planning and designing technology solutions. Ed’s focus is on utilizing the best approach and the most appropriate technology and resource to solve business problems. His extensive background uniquely combines pre-sales, sales, and services to provide customers with a superior advantage in IT. Ed's skills within ITSM and ITOM have provided great value for major software companies such as IBM, HP, BMC Software, and others.